Periodontal Set developed with Dr. Daniele Cardaropoli. The special octagonal handle gives to each instrument a remarkable cutting ability and precision. 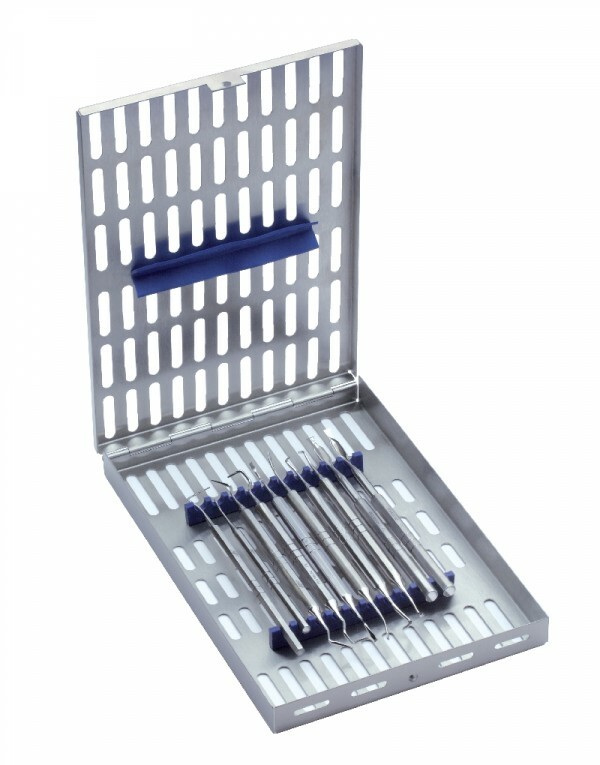 The complete kit provides a set of sharp surgical instruments which are essential during the periodontal conservative and resective–regenerative surgery. This set can be used both for remodelling bone tissue and decontaminating periodontal pockets and for polishing root surfaces. The millimetre probe, up to 15 mm, is essential for proper diagnosis and planning during the whole treatment.